Proludic offer a comprehensive Project Management Service covering the entire UK. 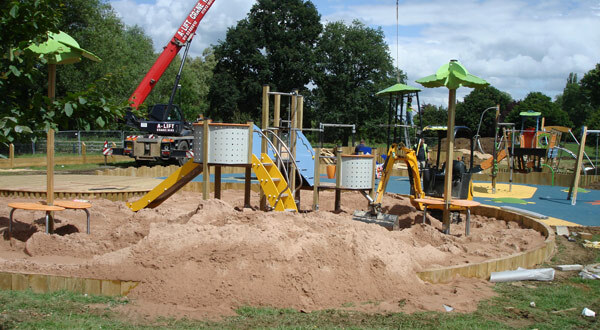 By having your Proludic equipment installed by the manufacturer you can be confident that all equipment is installed correctly and to the necessary specifications. We have experienced Contract Managers who work throughout the UK with our approved set of sub-contractors to ensure your projects are delivered on time and in budget. If you would like details of installers local to you, please contact us. You can download a complete Owners Manual which will include installation instructions specific to your project. You will need your order number and customer number. Please contact our Customer Services Team on 0115 982 3980 who will be pleased to provide these unique numbers. If you would like to view Proludic’s Certificates such as CHAS, Construction Line, TUV and API, please contact us.